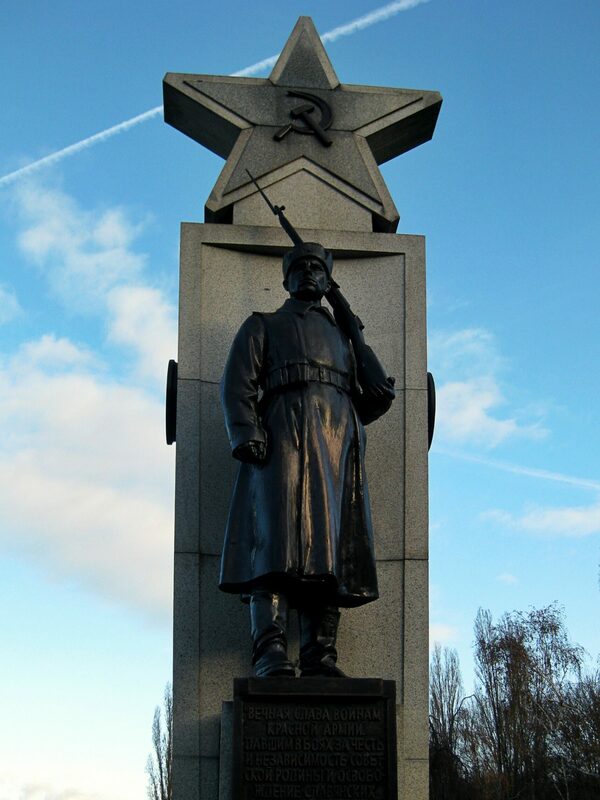 Last month I visited Prague again. It was either my sixth or seventh time in the Czech capital, but the city never ceases to surprise me. 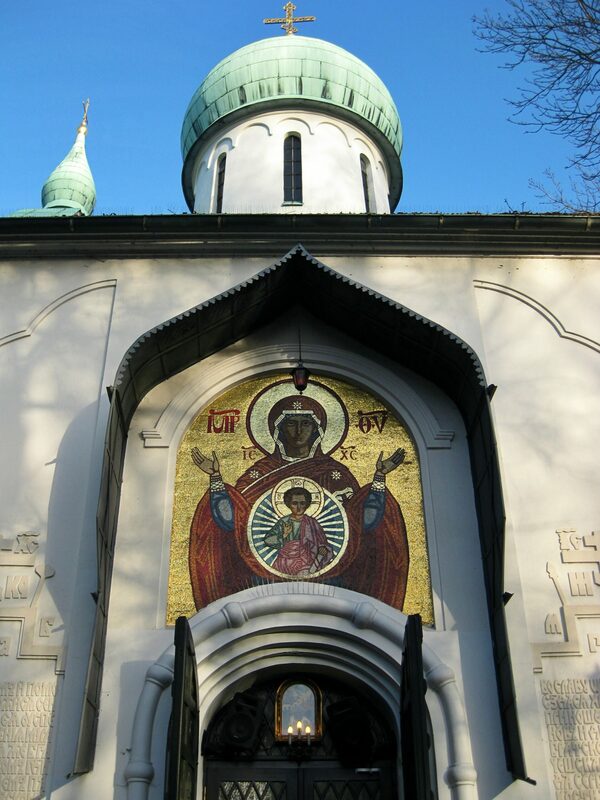 Likewise, there is so much to see in that city that every visit is always very interesting. 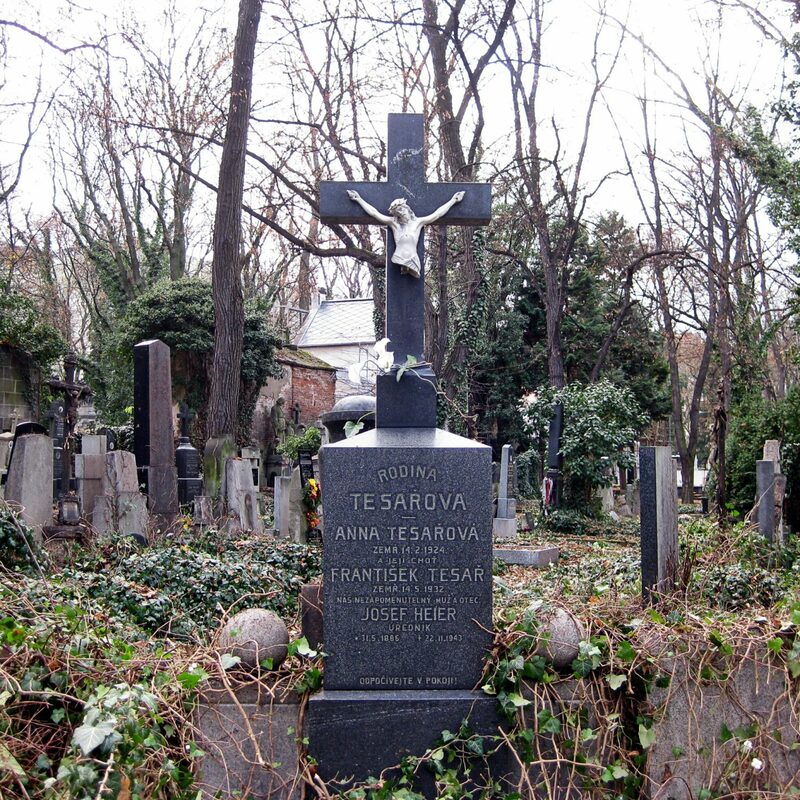 One of the places I had yet to visit was the Olsany Cemetery—or rather cemeteries. 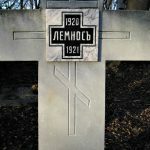 This necropolis houses a number of cemeteries organized in different sections: there are Orthodox, Muslim, Jewish, and military cemeteries, all within the same walls. 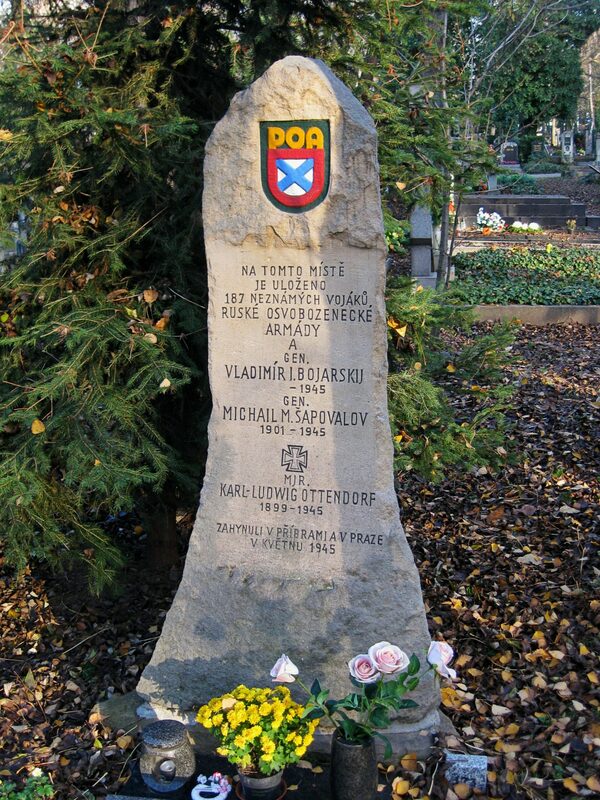 My main interest in going to the Olsany (Czech: Olšany) cemeteries had to do with my Master’s thesis: In addition to a small Soviet cemetery, there is also a cenotaph marking a mass grave where 187 soldiers and two generals of the Russian Liberation Army are buried, and since I wrote my Master’s thesis about a topic involving the two I decided to go look for it—which was nothing short of difficult. 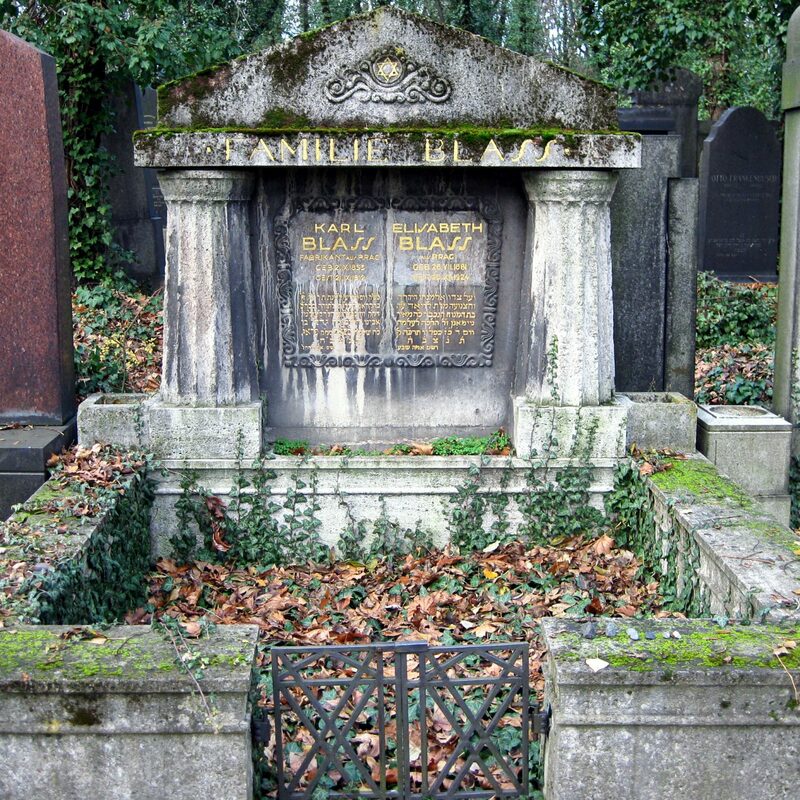 The Olsany cemetery was established in the 17th century after an outbreak of the plague and is home to many prominent sons of the city, such as Franz Kafka and Jan Palach. 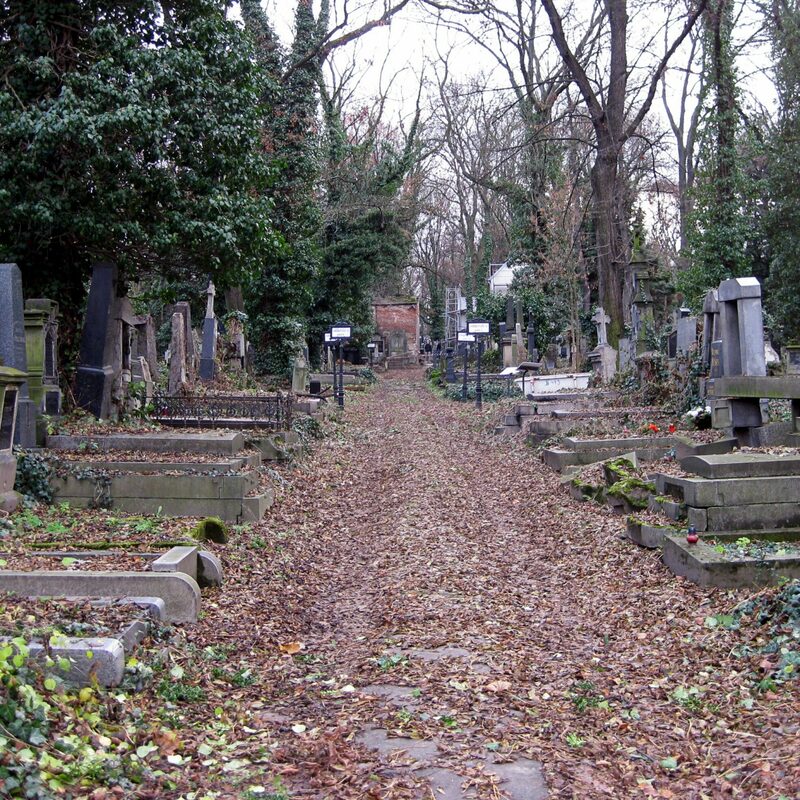 Over the centuries, more and more cemeteries were added, and thus the whole area now encompasses roughly 50 hectares and has a minimum of 112 000 registered names within its walls. 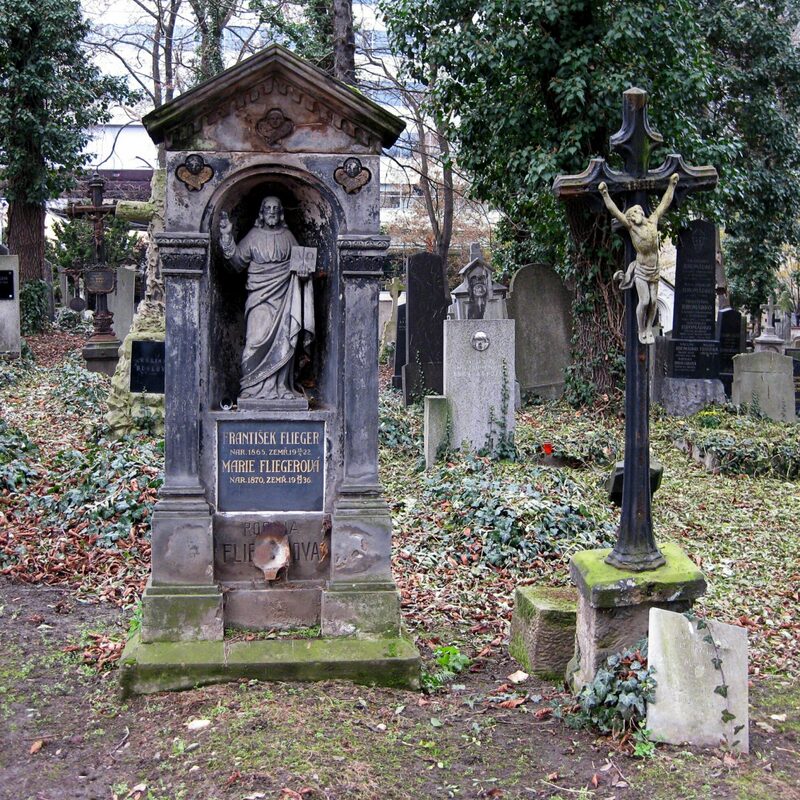 In the older part of the cemetery, many (if not most) of the names on the graves are German. 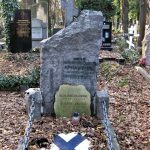 Actually, the older the gravestones, the higher the chance of the name on it being German—for German speakers made up a majority in the city until the late 1880s, when the Czech language acquired a new social status and renewed importance. 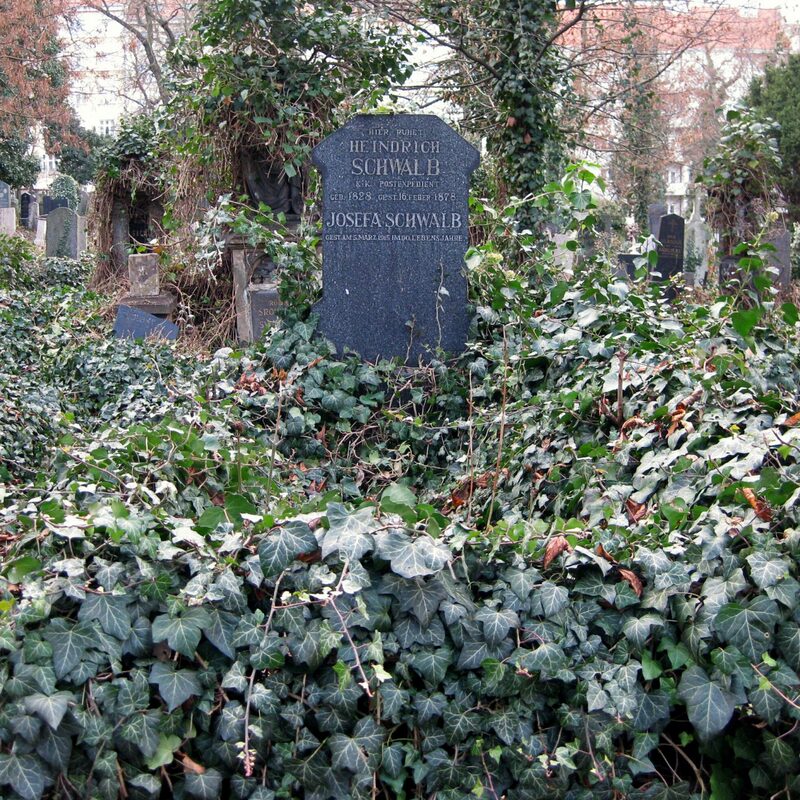 Graves from the early 20th century still have German names on them, but use the Czech suffix “–ová” when referring to the family. We were intrigued by the last name “Hassdenteufel,” which none of us had ever heard before (it literally translated into “Hatethedevil”). 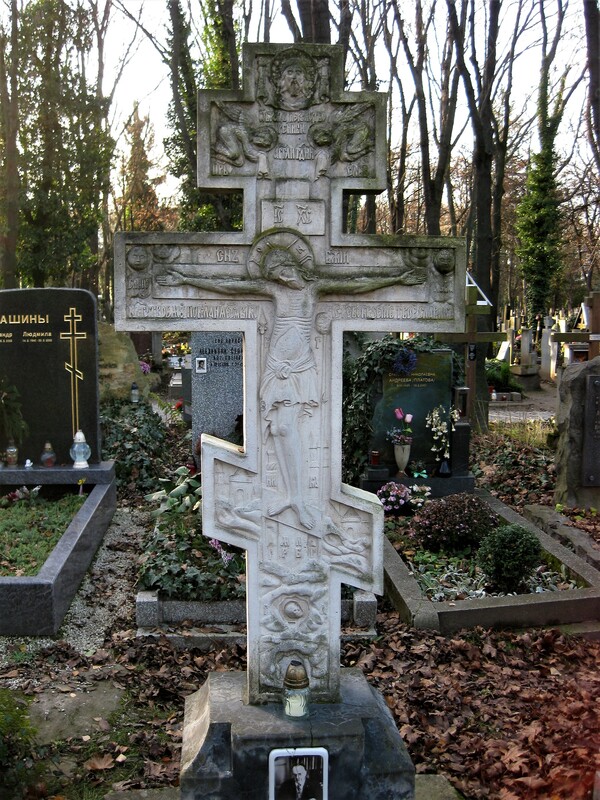 Likewise, there are many graves of people with Czech forenames and German and, to a lesser extent, Hungarian surnames. My friends (three German History students) and I were fascinated by these names since they really reflected just how much of a true European capital Prague was at that time. 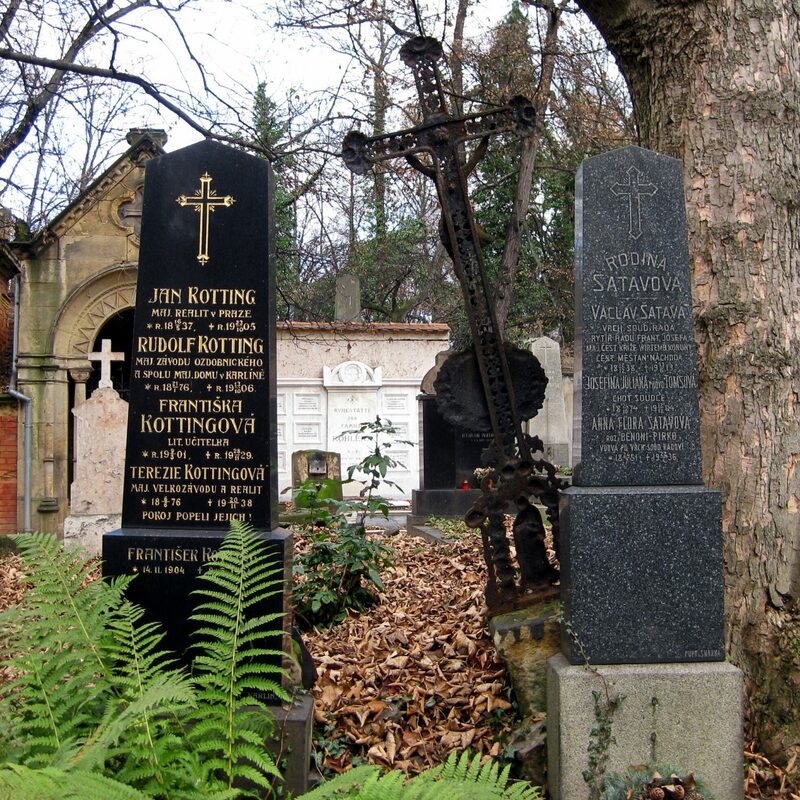 Most of these graves in this part of the cemetery where derelict and overgrown with weeds: headless effigies of the Virgin Mary, sad torsos hanging from rusting crosses, broken gravestones. 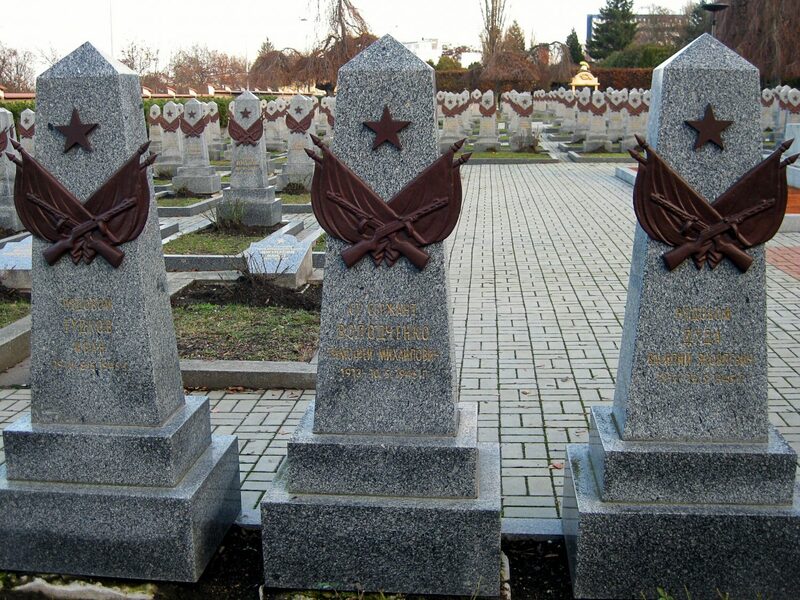 Since most Germans were expelled from what was Czechoslovakia following World War II, there is often nobody to pay the fee for the upkeep of these graves. 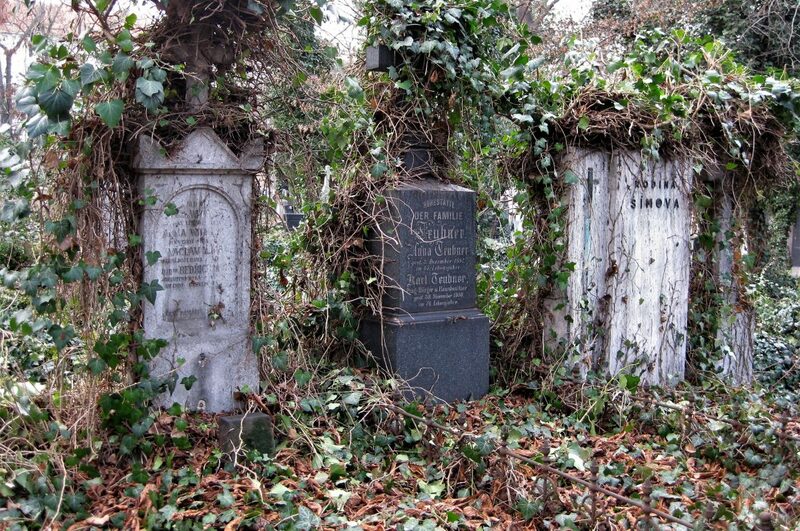 We continued walking through the Jewish cemetery, and eventually made it to the military cemetery. 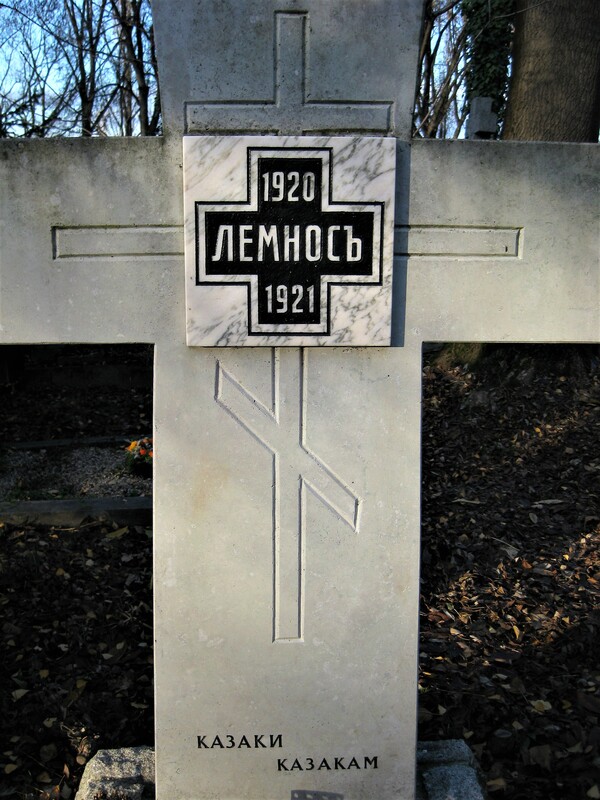 Next to the Soviet graves is a small Orthodox cemetery, where the cenotaph we set out to find also stands. 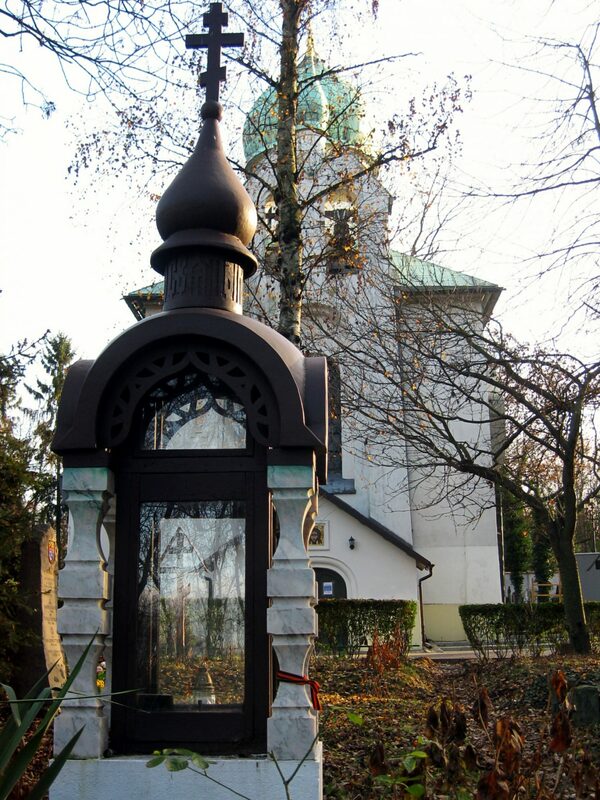 There’s a small Orthodox chapel next to the graves. The building, with its golden dome glaring in the setting winter sun, was very inviting so we took a peek inside before heading back into the city. 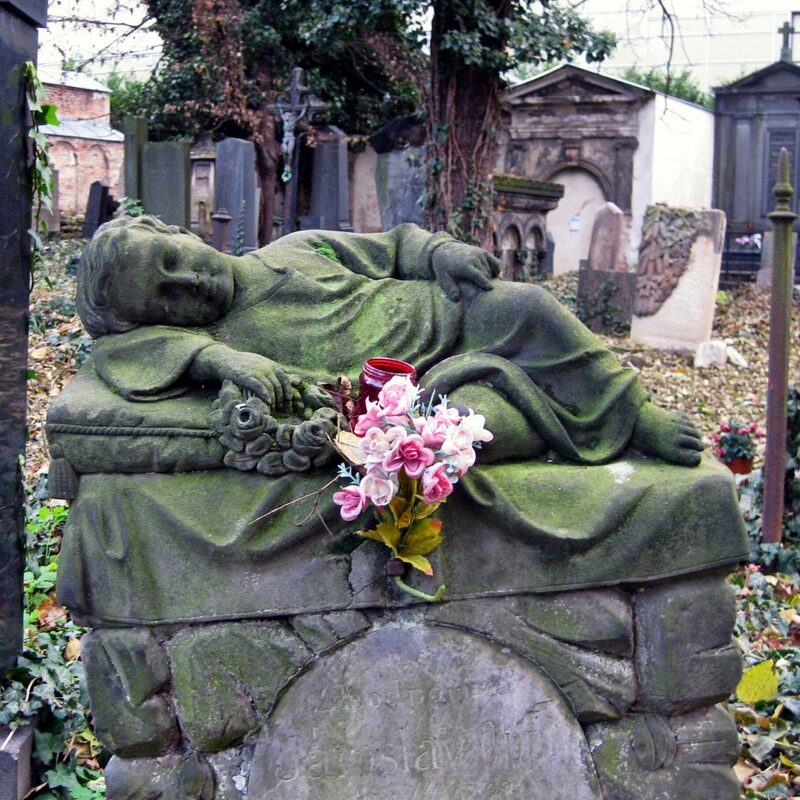 If you’re in Prague and looking for more off-the-path activities, I can definitely recommend the Olsany Cemetery. Go have a walk and take a few pictures. You may ask for a map at the door too. Thanks for reading! 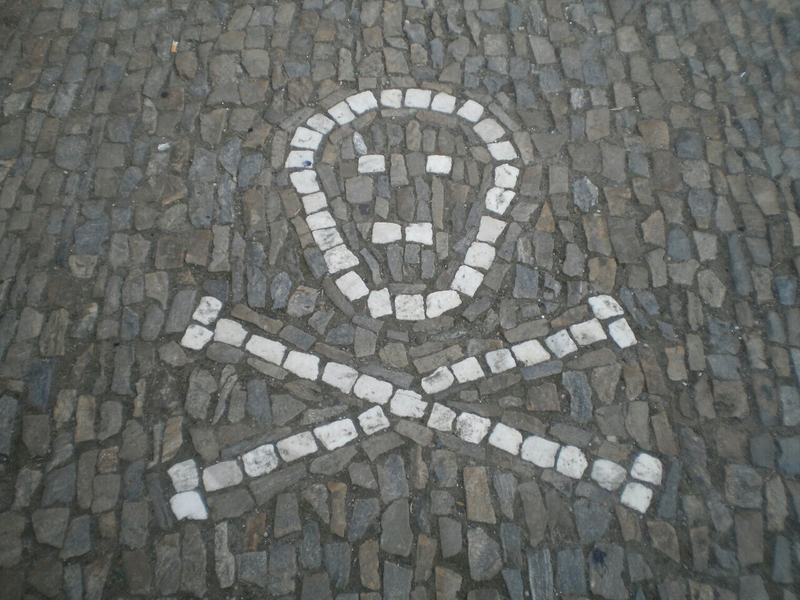 I really need to do some catching up and finally publish my all my articles about my recent trip to Dresden and Prague. This was the first of several, and I hope you enjoyed it. Please leave a comment below and don’t forget to follow me on Facebook and Instagram to help Between Distances grow! 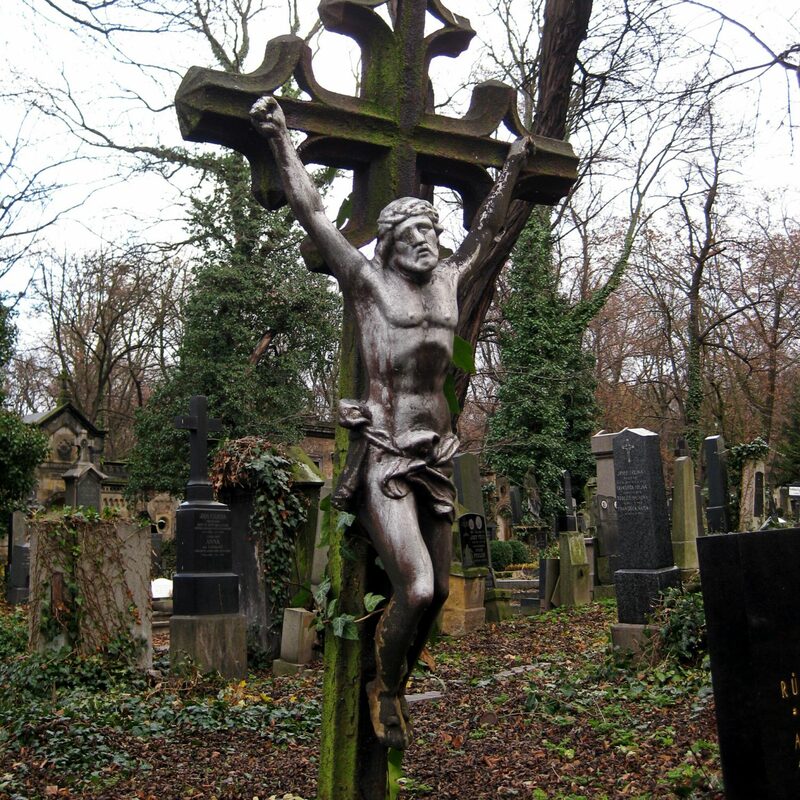 I LOVE cemeteries. 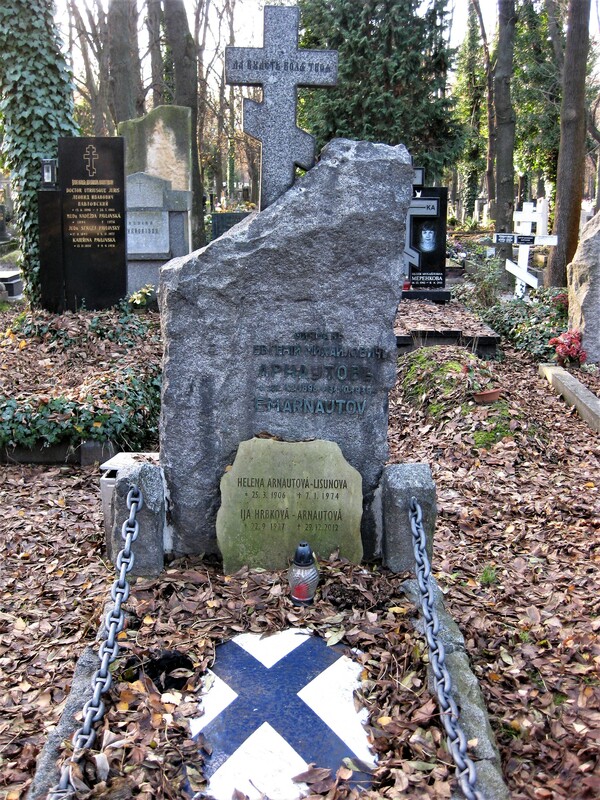 I have been to Prague once but didn’t get the chance to see this one. Prague is a beautiful city, it’s got that old town feel and medieval vibe to it. 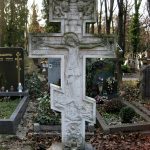 Great article – thanks for sharing a bit of history too. I NEED to go there! 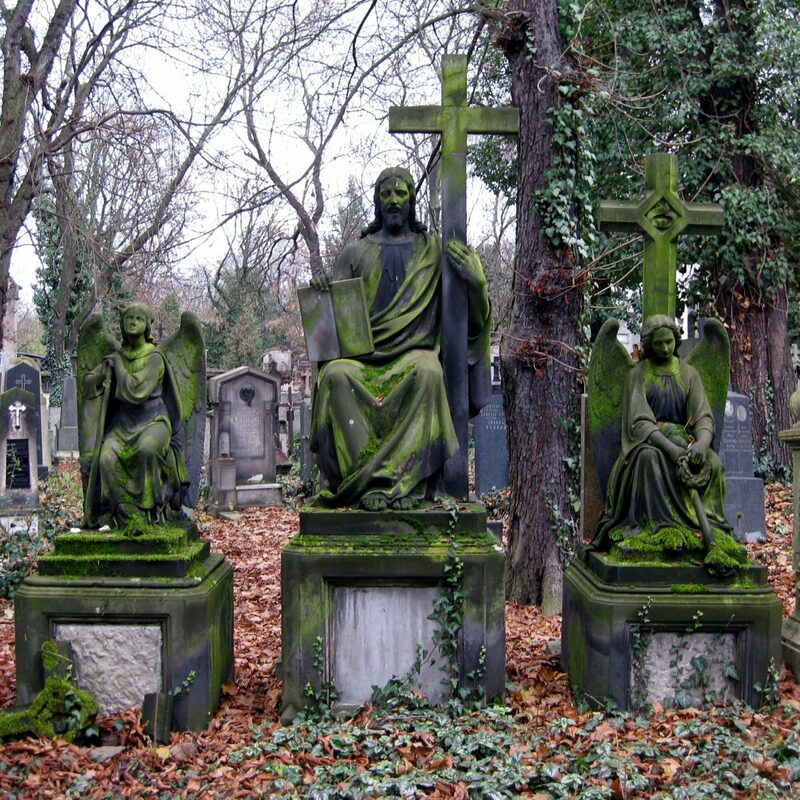 I love the green moss over all the stones. Makes it seem like a hidden treasure could be buried somewhere in there! You do. Yet another reason to go to Prague! Lemme know when you go. 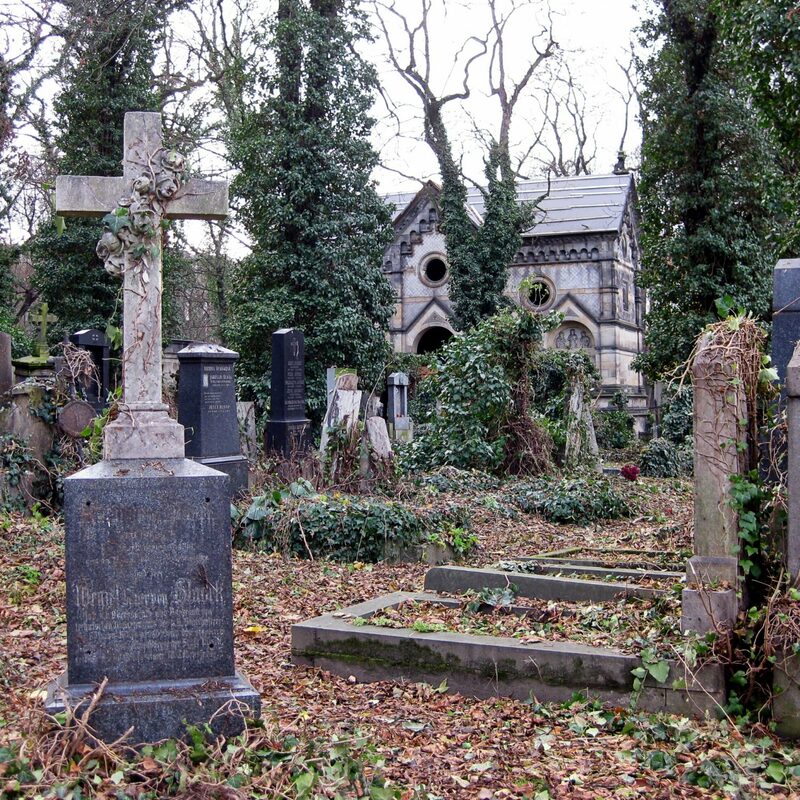 Wow what an amazing cemetery! 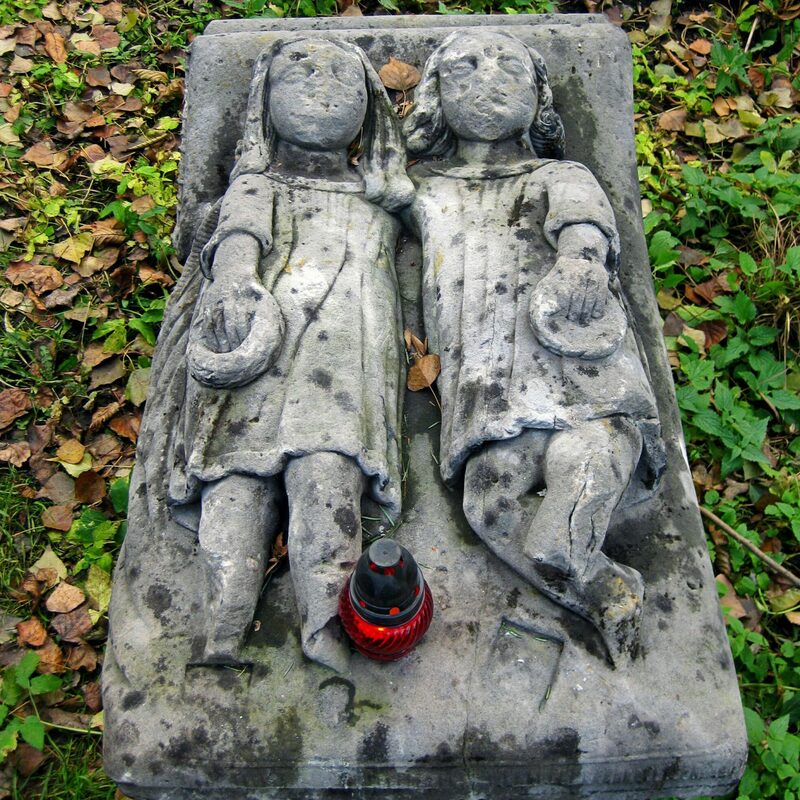 That grave with the two girls (?) lying next to each other brings to mind so many questions..